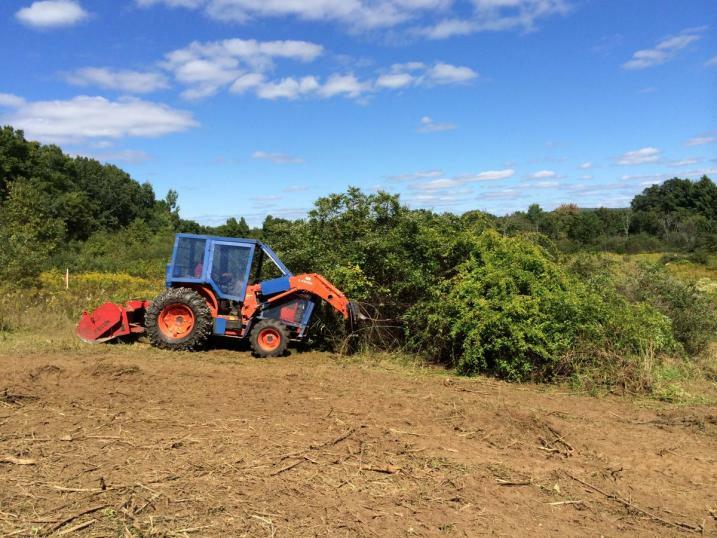 The Oyster River Forest conservation project was a typical riparian restoration with typical goals: restore habitat to benefit New England wildlife; remove invasive plant species; control erosion to improve water quality; and more. The striking difference is that this project achieved all of its goals WITHOUT THE USE OF CHEMICALS in this sensitive ecosystem. 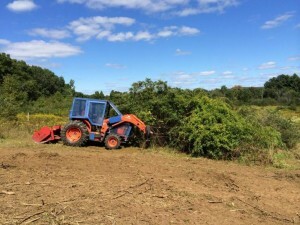 This restoration project was accomplished through a partnership of federal, state, and local entities to protect: 4,600 feet along the Oyster River, a tributary to the Great Bay Estuary; water quality for fish, wildlife, and public drinking water; the nationally recognized Spruce Hole Bog; Appalachian oak-pine forest; and a 25-acre old field for New England cottontail. The field and riparian areas were heavily infested with large invasive shrubs and a 2.5-acre stand of wild parsnip. 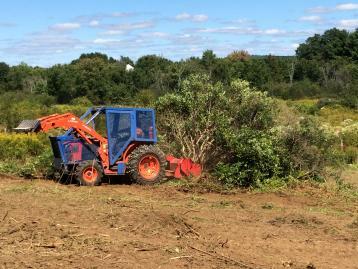 A key funding partner—the Natural Resources Conservation Service (NRCS)—originally planned to hire contractors to spray the invasive plants with herbicide then re-plant with native shrubs. As a consultant working on the project for the Town of Durham, Ellen Snyder brought in ecological consultants Mike Bald (GotWeeds?) and Gerry Hawkes (Forest Savers LLC), and convinced NRCS to use only mechanical methods to remove the invasive plants. This webinar will highlight the chemical-free options and techniques used to control the invasive plants species. Ellen Snyder is an independent consultant and owner of Ibis Wildlife Consulting, with more than 20 years of experience specializing in habitat planning and management, wildlife ecology, open space planning, biodiversity conservation, science and nature writing. Ellen’s background includes serving as the Community Land Protection Specialist for the Southeast Land Trust of New Hampshire; University of New Hampshire Cooperative Extension Wildlife Specialist and Extension Professor; Coordinator of the New Hampshire Living Legacy Project, a statewide public-private partnership to conserve the state’s biodiversity; and contributor in establishing the New Hampshire Coverts Project, a statewide landowner volunteer program; and Partnership Coordinator for The Stewardship Network: New England at UNH Cooperative Extension. Ellen holds degrees in Wildlife Management and Animal Ecology. She is a Certified Wildlife Biologist, The Wildlife Society and a Technical Service Provider, for the Natural Resource Conservation Service: Wildlife Plans and Practices.